Aside from being sick and done with these cold/hot/cold/hot/idon’tknowwhattheweatheris kind of days, January has given us some delighful days. Such as this weekend. 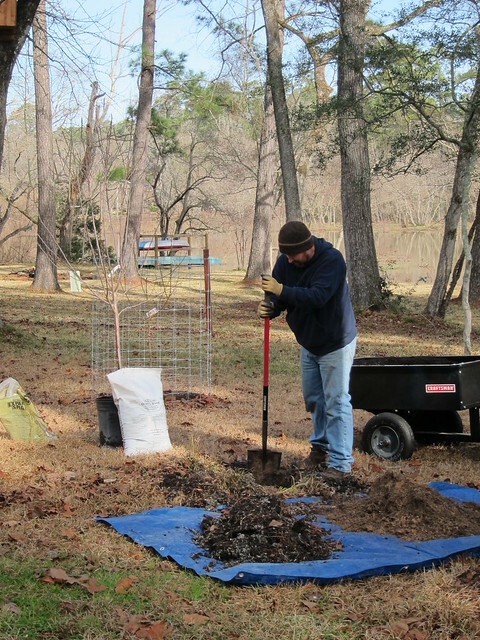 Chris ended up putting in a new Carnivale apple tree to replace the one that the deer tore up. Originally we thought about leaving it to see if it would come back, but it was clear after Chris dug it up that it was dead. Good thing we replaced it instead. 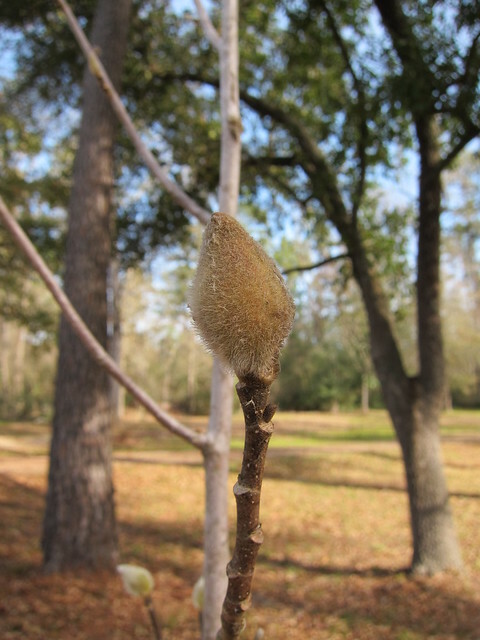 I am really looking forward to the ornamental magnolias and their blooms. 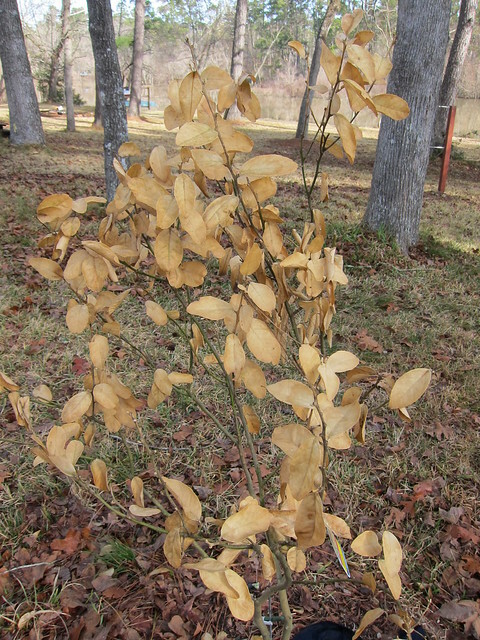 We’ll likely have to replace another one that the deer tore up (damn deer!). We were going to try to let it grow back too, but I don’t think it is alive. 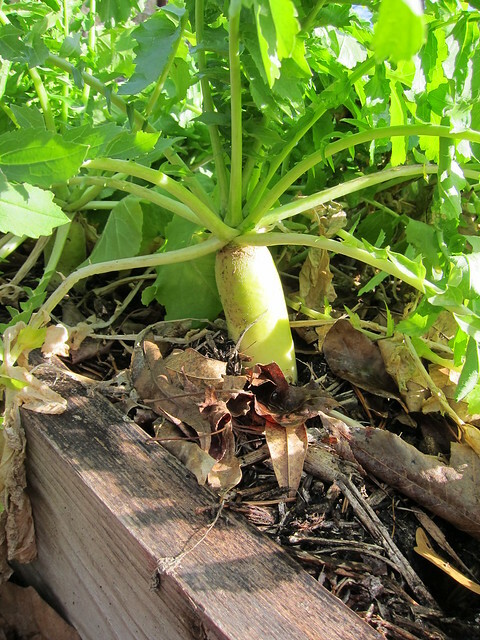 The daikon radishes are growing larger and pushing themselves out of the soil. They are such a cool plant to grow, I think everyone should try them at least once. So far they have been far milder than typical radishes. 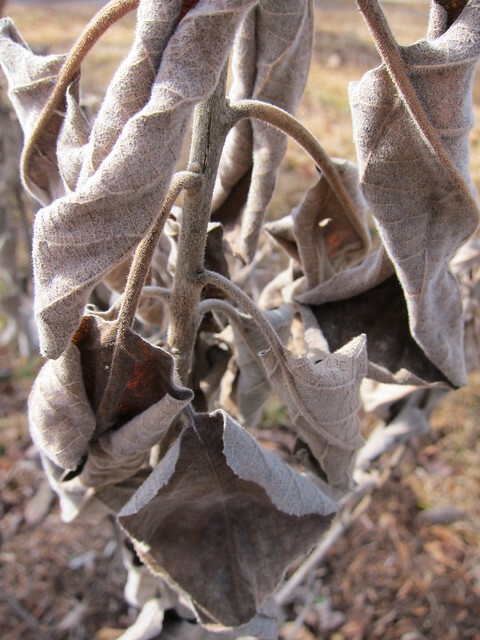 The Texas olive, which was putting on new growth even in November, has some crunch leaves from the last month of cold weather. I hope it makes it through, but only time will tell. 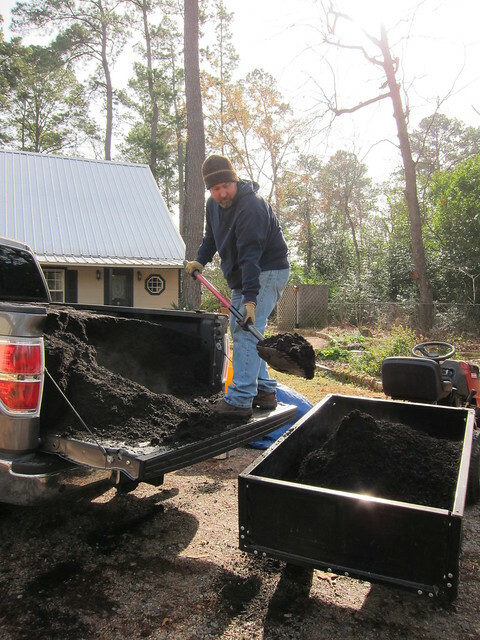 Chris spent most of this weekend putting in compost around the trees and shrubs. I helped some, but he seemed to conjure this idea up out of the blue so he was mostly out there busting it out himself. Chris isn’t ready to called TOD on the key lime yet, but I am. I think it is toast. 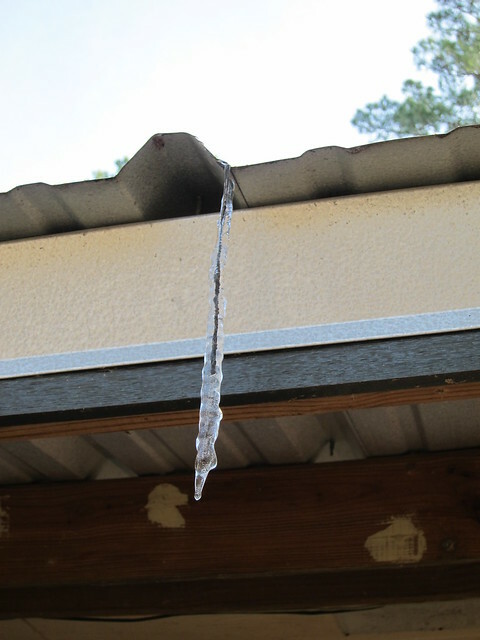 Oh, and our lovely single icicle!